When we think of depression, we often consider it a disease that only affects the adult population. We rarely attribute the symptoms to adolescents, and even more rarely to children. However, depression, in all of its forms, can affect any age population. Unfortunately, because we’re so accustomed to believing that adults are the only ones susceptible to debilitating depression symptoms, it’s hard to see the signs in children and adolescents. If we notice signs of sadness or sleepiness, which are common depression symptoms, we might attribute them to a “bad day at school.” However, not being diligent about looking for signs of depression or other mood disorders in children and adolescents can be very detrimental to their health and upbringing. Here are some methods of finding symptoms and treating them. 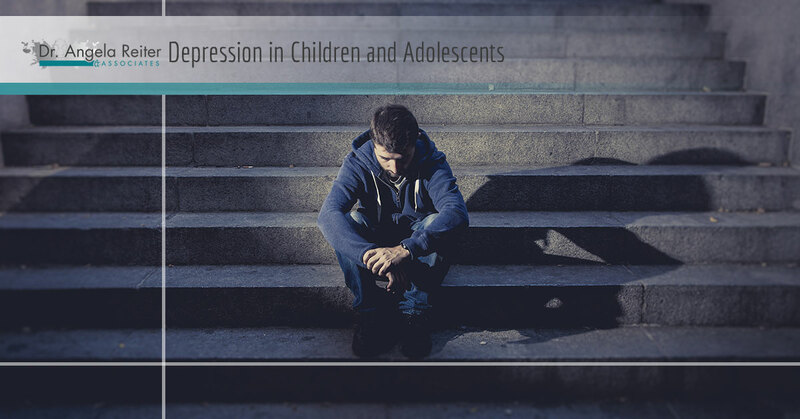 According to the American Association of Family Physicians, approximately two percent of children in the United States suffer from depression, and five to eight percent of adolescents will, or are, suffering. However, these numbers could be much higher due to the difficult-to-recognize nature of depression in the young population. If your child or a child you know is exhibiting signs of sadness, lack of energy, an unwillingness to participate in activities they normally enjoy, and trouble sleeping, there might be something more serious going on. While you know your child more than anybody else, it might be difficult to be fully aware of a real problem without communication. If they’re showing signs of being unwell or communicating to you that something is wrong, then it’s absolutely important to take the proper steps to help them get better. Ignoring depression symptoms, or assuming that they’ll go away with age (depression isn’t a phase), can be dangerous. In the United States, suicide is the third leading cause of death for adolescents, and about 90% of those that commit suicide can be diagnosed with a mental illness, including depression. Therefore, if you suspect that your child is ill, you need to address the possibility of depression and treatment. The first, and most important, step is to show them that their feelings are valid, and that you as a parent or guardian are there to help. In addition to showing care and empathy, taking them to a child psychologist who can administer a depression test could give them the necessary help that they need to recover. While parents and guardians can do everything in their power to help their kids, child psychologists are trained in Cognitive Behavioral Therapy (CBT) that they can tailor to children and adolescents and help them get better. Childhood and adolescence should be some of the most memorable and happy years of a person’s life. However, symptoms of depression could creep in and take away from these important years of growth and development. Therefore, it’s best to get treatment for young people as soon as symptoms start popping up and persisting. If you’re child is exhibiting signs of depression, call Dr. Angela Reiter & Associates for help.